Are you glasses, contact lenses or sunglasses made in Great Britain? I was at the opticians in June (in 2013) and I realised that it was not clear where most of the spectacle frames and lenses on offer were made. Most High Street opticians need to be more knowledgeable and more open about the origin of the products they sell. I thought I would do a bit of research so we can all buy British made glasses and British made sunglasses. This is what I have found so far. Are there any more glasses or contact lenses that are made in the UK? Algha Group Ltd. (Savile Row Eyewear) – Wiseman’s – made in London – http://www.algha.com – metal frames – fabulous round (as in John Lennon’s glasses), panto, half-eye, oval, clip-on, rimless, aviator, etc. frames – available (with lenses) from stockists listed on their website – Frame prices from around £300. On their website they say “All of our frames are handmade in London”. Savile Row were founded in 1898 and are now part of the Inspecs group. See this BBC article about Algha – http://www.bbc.co.uk/news/magazine-22766785 – the other manufactures I list here might dispute the claim in this video that they are the only frame maker in the UK! Savile Row glasses – WARWICK MODEL OSRC8 (ROUND ‘W’ BRIDGE NO. 48 H/E) – made in England. 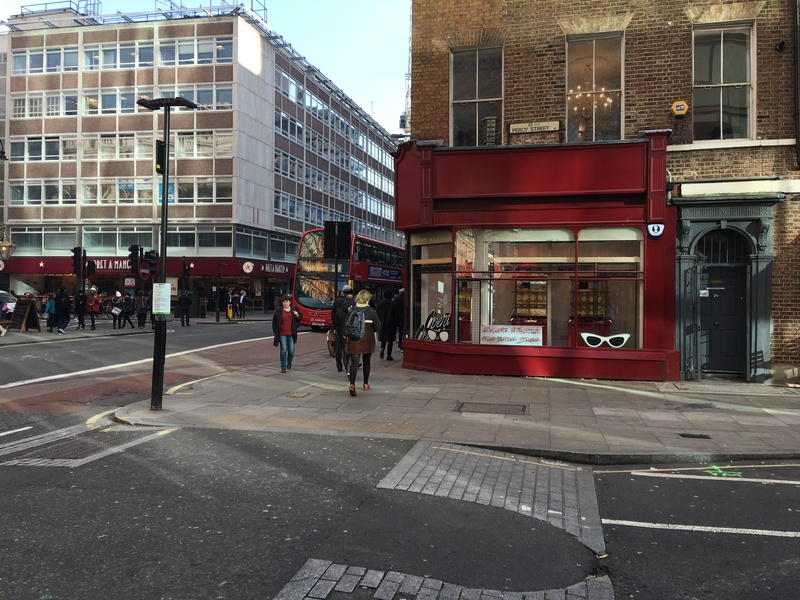 Roger Pope and Partners – Independent Optician in London – Holders of a Royal Warrant By Appointment to Her Majesty the Queen – Perhaps surprisingly Savile Row frames are the only UK made frames they stock. At Roger Pope you can though have bespoke spectacles made for you by two individual frame designers based in the UK. I know nothing more about their bespoke made frames than that. One UK lens manufacturer, Norville, is included in the lenses they use; the rest being foreign. The majority of their spectacle accessories are made in Germany or Italy. Eye tests. Possibly they do not do contact lenses. Open Monday to Friday 09.00 – 17.30.
https://www.coronationfestival.com/the-event/exhibitor-news/119-new-bespoke-eyewear-launch-from-roger-pope-partners – Diamond encrusted specs by Roger Pope! 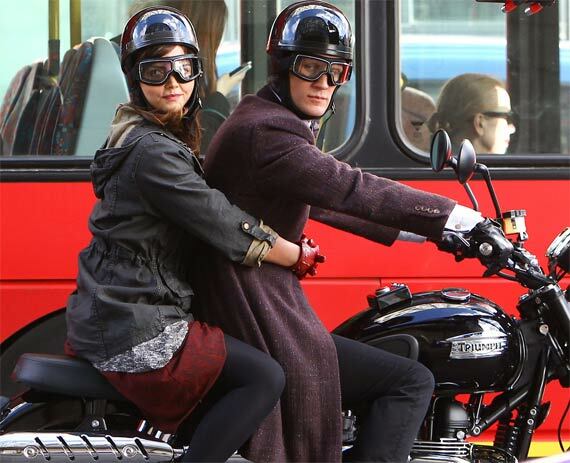 Haycyon manufacture British made motorcycle goggles in Hertfordshire, England – http://halcyonclassic.store.buegle.com/index.php/2/ – Haycyon also make motorcycle mirrors and classic car mirrors. 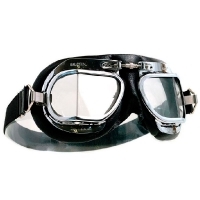 Manufactured in the UK and based on the original RAF flying goggle of the 1940’s Halcyon Goggles are a popular choice for use with all styles of open face helmets. Leather or PVC. Wholesale or via their website. Prescription lenses can be accommodated with the Halcyon lens frame by your optician (+6 to -6 lenses) or Halcyon goggles can worn over prescription glasses. 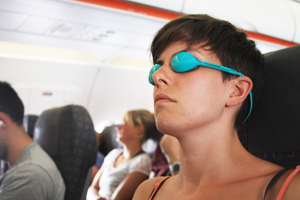 Possibly you could wear Haycyon goggles for skiing / snowboarding over your prescription glasses? Or I wonder if the likes of Premier Optical or Opera Opera could make you glasses / sunglasses suitable for skiing or other sports? Despite their protestations about being a British brand, I note that William Morris spectacles are in fact made abroad. Likewise, Cutler and Gross glasses are made in Italy. There are many other ‘English’ brands also being sold using PR and hype to unsuspecting Brits, Europeans, Japanese and the Americans giving the impression that the product has been made in England. Frames now tend to be produced in China mostly and possibly in Europe. Specsavers – frames and lenses supplied from Italy, France, China and Korea. Dollond & Aitchison / Boots – lenses are possibly supplied by BBGR and possibly still made in the UK at a former D&A manufacturing operation or perhaps they are made in France. BBGR are a French company who bought the Dolland and Aitchison manufacturing operations in 2001. Dolland and Aitchison were subsumed into Boots Opticians in 2009. Boots Opticians is controlled by Alliance Boots, which holds a 58% share, while Italian company De Rigo holds a 42% share. Boots UK Limited (Boots the Chemist) is now American owned and part of what is now know as Walgreens Boots Alliance, Inc. Boots frames are generally made abroad but some frames Boots claim are made in the UK – you should ask them for British made frames but I think they will be hard if not impossible to find. Optical Express – didn’t respond to my enquiry about where their products were made but I understand their frames and lenses are made abroad. Vision Express – frames and lenses are made abroad. So basically the big High Street opticians only sell 100% imported frames (and possibly lenses too). There might be some very English names marked on inside of the temples but you will not find made in England glasses at these big retailers. I asked some online opticians about where the frames and lenses they sell are made. GlassesUK.com suspect their fames are made abroad (and I suggest they are correct about this), although their lenses are apparently made by a firm in the Midlands; glassesdirect.co.uk (French optical group Essilor) believe some of their frames are made in the UK (I am not convinced this is the case and I have been told they are all made in Asia) but most are made abroad and again their lenses are apparently made in the UK; lensWay.co.uk (Vision Direct) appeared not to understand the question and we can assume all their frames and lenses are made abroad. Cubitts have all their frames made abroad, although they do use British made lenses. Well Dressed Dad explains what he considers the advantages of buying spectacles online (principally cheapness and avoiding the dominance of the Italian companies Luxottica and SafIilo who make most of the world’s “designer” frames). The big eyewear manufacturing and retail companies, who make and sell the big designer name brands, the Italian companies Luxottica, SafIilo and Marcolin do not manufacture in the UK. There is some information about their brands (Armani, Oakley, Rayban, Paul Smith, Chanal, Gucci, etc.) here and here. 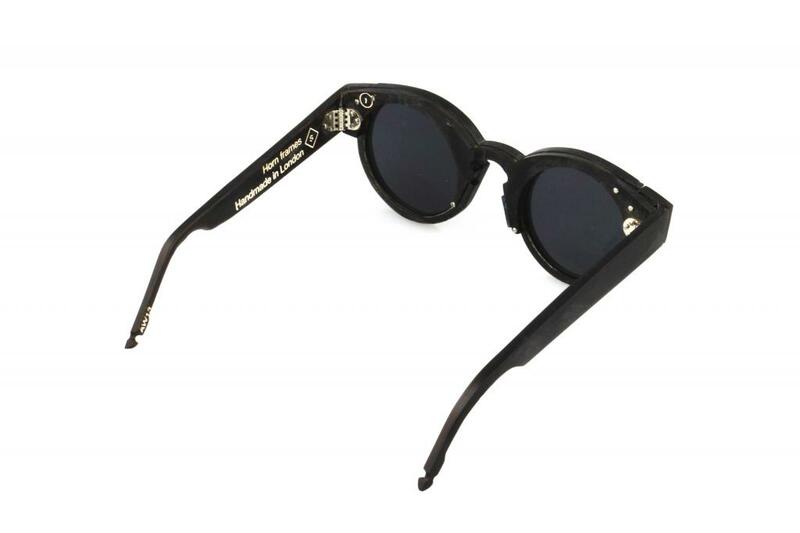 Harpers Dean frames by Opera Opera. Made in England. 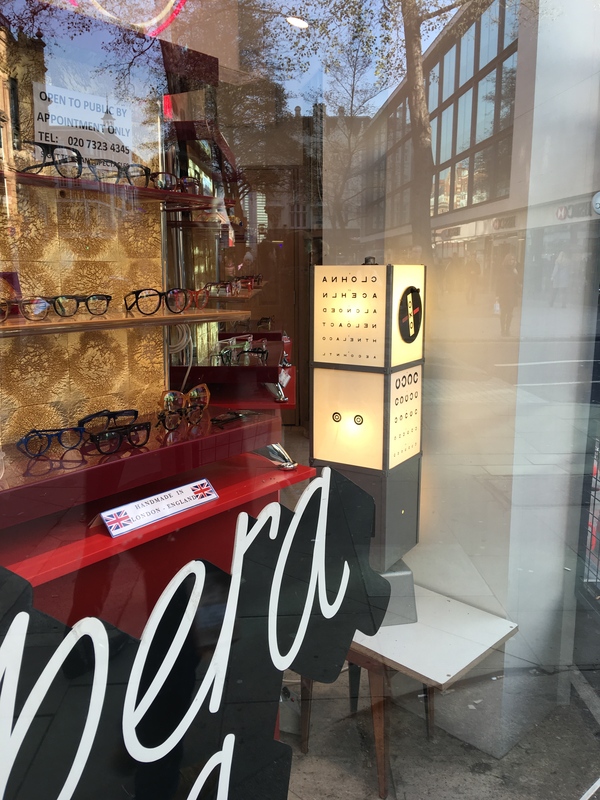 Opera Opera opticians – their new premises from the start of 2016 – on the corner of Tottenhamd Court Road and Percy Street (near Russell Square Tube station and Goodge Street Tube station). Photograph by author. Opera Opera opticians, London – window display, January 2016. Photograph by author. Opera Opera Opticans London – their old premises in Covent Garden (at 98 Long Acre), 2014 Google Maps photograph. TEYES magnetic glasses. Made in England. Edward Gucewicz – http://www.gucewicz.com/about/ – glasses frames made from horn and bone in the UK. Sunglasses or they can fit prescription lenses. Prices range from £600 to £1200. Edward Gucewicz – horn 1 – real horn frame. water buffalo (Bubalus bubalis). black – dark grey lenses. Handmade in London, UK. 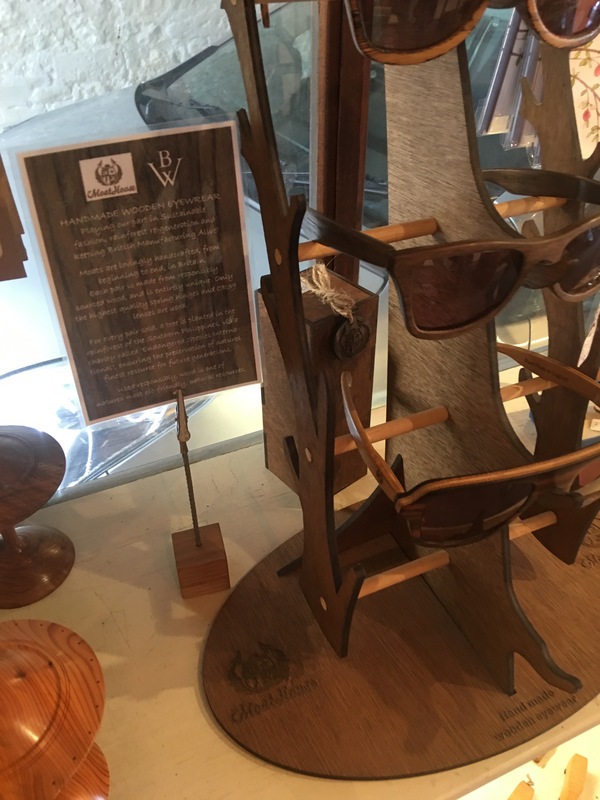 Moat House wooden glasses frames on display in Buford Woodcraft. Photograph by author. JB’s Michael Caines. Made in England. 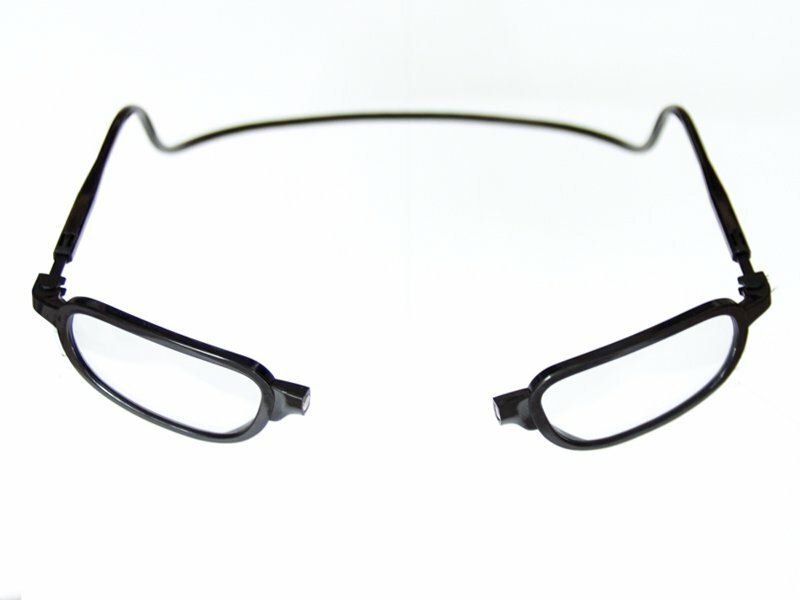 http://www.specrepairs.com – for spectacle repairs. Also spectacle re-glazing. Tender Sunglasses are a new line from Tender and are hand made in England. Available online only from The Trestle Shop, but they may become available in stores. Non-precsription dark lenses, but an optician could probably insert prescription lenses. I am not sure who makes these for Tender. Priced £445. I discovered these on The Tweed Pig. I think Tender produce low volumes and and therefore have limited availability. Oliver Goldsmith sunglasses are made in Italy, Japan, Germany and England. Stockists are listed on their website. I’m not sure how you tell which ones are made in England, except perhaps by asking, and I think it is just their bespoke and custom sized frames that are made in England. I am not sure who makes their UK made bespoke frames for them. Presumably one could have prescription lenses fitted in their sunglasses if required. Anglo American Eyewear apparently closed their UK factory down years ago and now make their frames in China. However, according to their website they do still have a facility in London that can hand make a copy of an existing frame for customers (although strangely this service is only advertised on the Anglo American US (.com) site and is not advertised on the Anglo American UK (co.uk) site). Anglo American Eyewear spectacle frames do have the word “England” on the arm, but that does not mean they are made in England! They did not repond to my enquiry about country of origin. Anglo American Optical Company LTD was founded in London in 1882. David Cox Bespoke Eyewear offers an exclusive bespoke frame making service to opticians. All frames are produced by hand and made to order. David Cox can make frames to a customer’s chosen size or replica frames. He has worked for many of the London opticians mentioned in this article. If you are an optician I can put you in touch with David Cox. British spectacles manufacturers Cambridge Optical and Paul Green Eyewear have long ceased as manufacturing enterprises and appear to have closed down now. You could also consider vintage eyewear. I got a couple of old English made frames at the Sunday UpMarket in London at a very reasonable price. Except perhaps with sunglasses, you will of course have to pay to have them re-glazed, and if you are buying online you might not actually like them when you wear them for real. You might try http://lunetteslondon.com (they have a stall at Brick Lane vintage market and some other stockists, so you can try them on or you can buy online; country of origin is not given online so you would need to ask) for example or online only http://www.deadmensspex.com (re-conditioned frames; country of origin is not given so you would need to ask; they also sell on eBay) or Roope Vintage (who sell some unused vintage glasses & sunglasses, as well as modern foreign made reproductions; they can also arrange to fit frames with prescription lenses; unfortunately they don’t give country of origin information so you would have to ask). 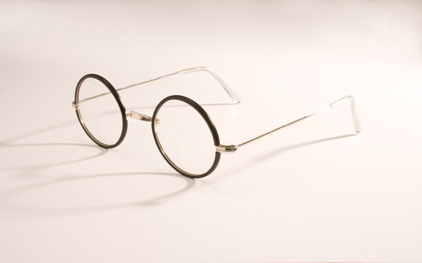 Retro Spectacle specialise in the sale of vintage spectacles – if known they will specify the country of origin. Many of the frames they have were made in Britain. As they are also opticians we can provide any prescription lenses. Online only as far as I can tell. Retro Spectacle also attend vintage fairs and events giving people the opportunity to try on frames and allowing them to dispense more complex prescriptions . Polaroid Eyewear is now part of the Italian Safilo Group. 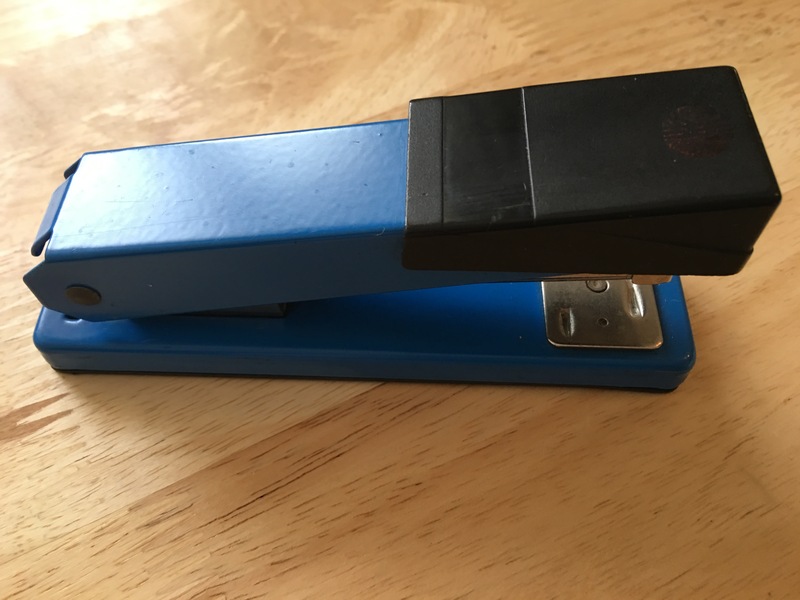 They have manufacturing plants in Italy (x 3), Slovenia, Scotland, the United States and China, and production is also outsourced to third-party manufacturers in Asia, Italy, and the U.S. ‘PLR Ecommerce, LLC’ own what is now a separate company who appear to be making Polaroid cameras again. My understanding is that Polaroid was an American company previously. Polaroid cameras used to be made in Scotland but not any more. 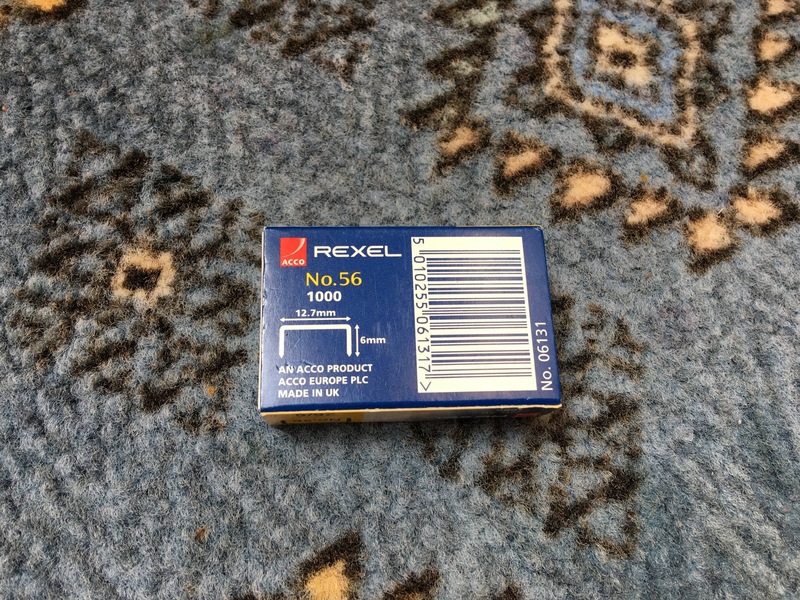 Some Polaroid lenses are still made in Scotland, whereas their frames are all foreign made. Presumably Polaroid lenses are available in opticians, but no mention is made of this on the Polaroid website; it just sells various sunglasses and no country of origin information is given. I guess some of the sunglasses on the site might be fitted with lenses made in Scotland, but there is no way to tell from their website. There’s an interesting history of the Vale of Leven Industrial Estate in Dumbarton and Polaroid here. Scotlens contact lenses are made in the UK. Manufacturers of ‘Nocturnal’ lenses, ‘K-Contour’ contact lenses and ‘One-8’ lenses. Presumably available at some opticians. Daysoft contact lenses are made in the UK and are very reasonably priced. Available online – http://www.daysoftcontactlenses.com. 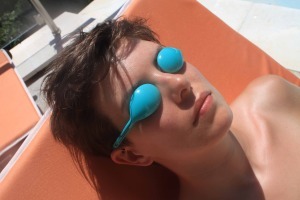 They also sell glasses on their website but these are foreign made. However, the lenses for their glasses are glazed to the required prescription at a UK laboratory, which is located just a few miles from the Daysoft contact lens laboratory in Blantyre. The glasses frame and lenses are then assembled in the same lab before being despatched. http://www.ronhamilton.co.uk – the blog of the Chairman of Daysoft. Does anyone know of any other glasses, glasses lenses, or contact lenses that are made in the UK? 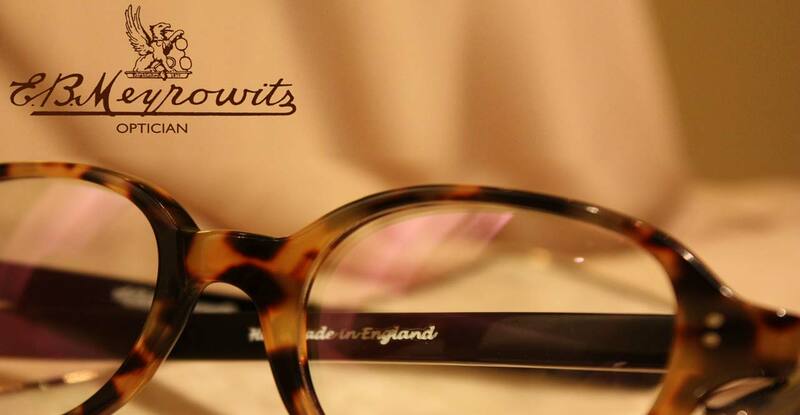 For glasses cleaning cloths why not use SELVYT cloths which are made in England. 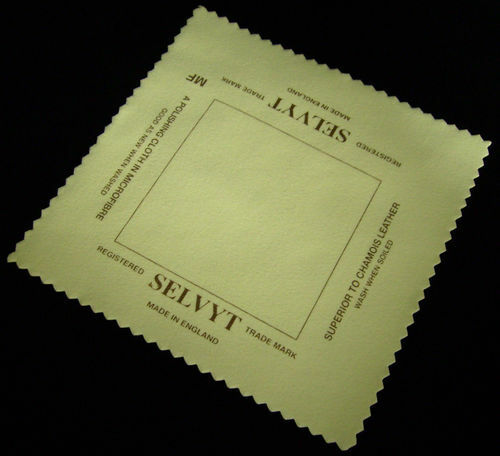 For well over 100 years SELVYT has been the world’s leading brand in quality polishing cloths for the jewellery, watchmaking and silversmiths trade. Also cloths for glasses cleaning, plasma screen cleaning, cleaning guns, cleaning cars, cleaning brass or wooden instruments, household cleaning, etc. Manufactured in the U.K. SELVYT is a division of Edmund Bell Ltd a British textile company established in the 19th century, who supply curtain lining and blackouts. Selvyt Spectacle Cloth. Made in the UK. SELVYT MICROFIBRE (MF) POLISHING CLOTH MADE IN ENGLAND. There is also Town Talk Polishing Co. Ltd. – 98% of their products are produced at their factory in Bolton, Lancashire. They source the sonic unit machine and the microfibre cloth from overseas although these are finished and packed in the UK which is something. All the Town Talk polishes, silver and gold polishing cloths, jewellery cleaners and household cleaning products are 100% made in England. Check the packing when thinking about buying for the words made in England. Notonthehighstreet have a number of British made soft spectacle cases (note not all their glasses cases are British made). Small Castle make some leather glasses cases. Made in England. Raw Leather make some leather glasses cases. Made in England. 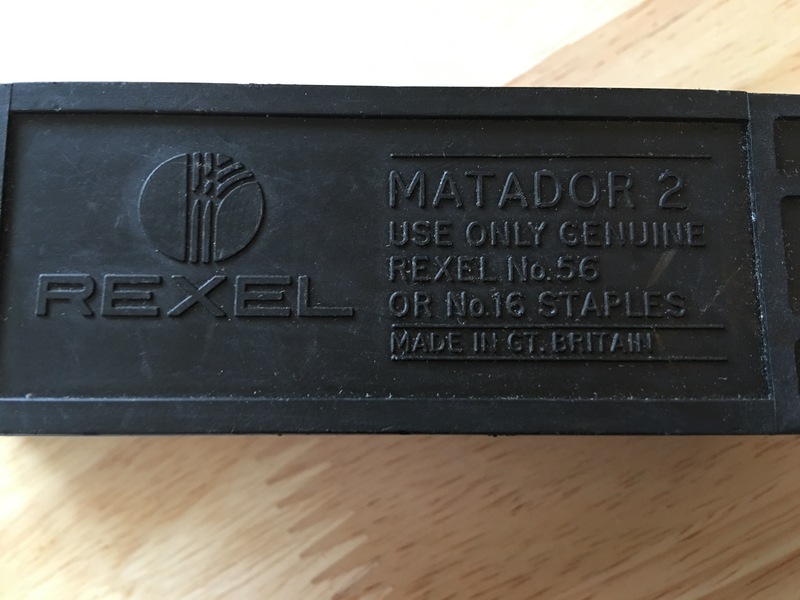 Does anyone know of any other UK made spectacle accessories – glasses cases, eyewear holders, etc? 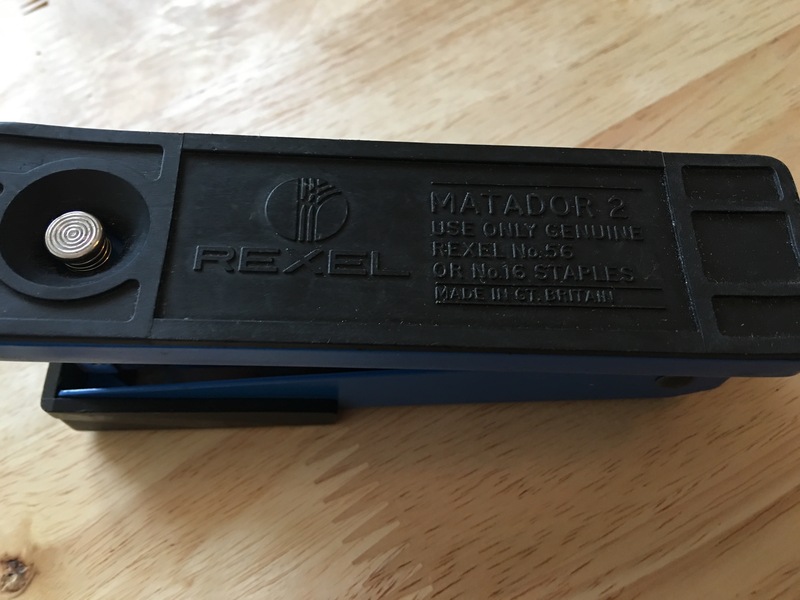 I wonder where the free case you get with a new pair of glasses is made? – they don’t label this on the cases you get and I suspect the answer is China. For magnifiers and magnifying glasses, please see that category on the right or click the links in this sentence. Avoid leaving your glasses in extreme temperatures. This entry was posted in Glasses, Premiere Optical / JB Handmades, Royal Warrant Holders, SELVYT cloths, Spectacles, Sunglasses, Town Talk and tagged Alfie Douglas, Algha Group Ltd., Ally Capellino, Banton Frames, Barrow and Flux, British Glasses, British Made Eyewear, British Made Glasses, British Made Prescription Glasses, British Made Spectacles, British Opticians, British Specs, C.W. Dixey & Son, Classic Car Mirrors, Cleaning Cloths, Contact Lenses, Contacts, Cubitts, David Cox Bespoke Eyewear, Davida, Davida Helmets, Daysoft, E B Meyrowitz, Edward Gucewicz, Eyeglasses, Eyewear, Eyewear Made in England, Fan Optics, Frames, Glasses, Glasses cleaning cloths, Glasses Frames Made in the UK, Glasses Re-glazing, Harpers, Haycyon, JB Handmades, Kirk Originals, LARKE, Lens, Lenses, LUNETTES LONDON, Made in the UK, Magneteyes, Mcclintock Eyewear, Mills & Meyer, Moat House Eyewear, Motorcycle Goggles, Motorcycle Helmets, Motorcycle Mirrors, Norville, Occles, Oliver Goldsmith, Opera Opera, Opticians, Polaroid, pq Eyewear, Premier Optical, Premiere Optical, Premiere Optical / JB Handmades, Raw Leather Workshop, Re-glazing, Reglazing, Retro Spectacle, Roger Pope and Partners, Royal Warrant Holders, Savile Row Eyewear, Scotlens, SELVYT, Small Castle, specrepairs.com, Specs, Specsavers, Spectacle Accessories, Spectacle Frames Made in the UK, Spectacle Re-glazing, spectacle repairs, Spectacles, Sunwise, Tender, Termite Eyewear, TEYES, The Eye Company, The Trestle Shop, TouchscreenKleen, Town Talk Polishing Co. Ltd., Vision, Walter and Herbert, Wiseman's on July 13, 2013 by ukmade.